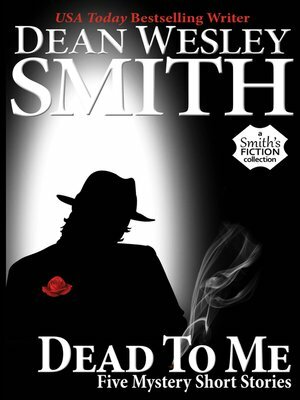 Dean Wesley Smith, famous for being one of the most prolific and wide ranging authors working today, draws on his library of short mystery stories to produce this collection, Dead to Me. Hard-boiled Las Vegas coughs up a very dead and very cold body for the retired detectives of the Cold Poker Gang to deal with in "The Case of the Pleasant Hills Murder." In "Two Roads, No Choices," the legendary Sherlock Holmes tackles a lingering mystery surrounding the ill-fated Titanic, with a science fiction twist. A creepy Bryant Street story offers up a strange couple in the suburbs in "An Obscene Crime Against Passion." Cold-blooded vodka-sipping Mary Jo in "Make Myself Just One More," offers more twists and turns, and the better halves of two "Husband Dummies" make clear that woman win more than they lose. Funny, creepy and strange, these stories keep the reader guessing. "...Dean Wesley Smith draws a royal straight flush by making the hand he deals readers seem possible with this exhilarating political poker thriller..."